Endodontic treatment involves opening the tooth, removing the damaged pulp, cleaning, shaping, filling and sealing the tooth. 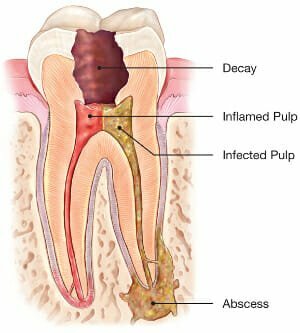 Depending upon how much infection there is in the injured tooth, your may be put on medicine before your dentist or Endodontist can begin to work. Your dentist or Endodontist will start by getting the tooth ready.